This DIY control panel is designed by The Outdoor GreatRoom Company and is made to be used with the CF-20-LP, the CF-1224, and the CF-2424 gas firepit burners. This control panel is designed as a 6.5 in. x 6.5 in. black plate and features an adjustable on/off valve. This panel is a great way to set up your compatible fire pit for greater convenience and precision operation. These DIY gas firepit burners are manufactured of the highest quality materials available. Does this product include the valve for propane or is it just the plate and on/off knob? 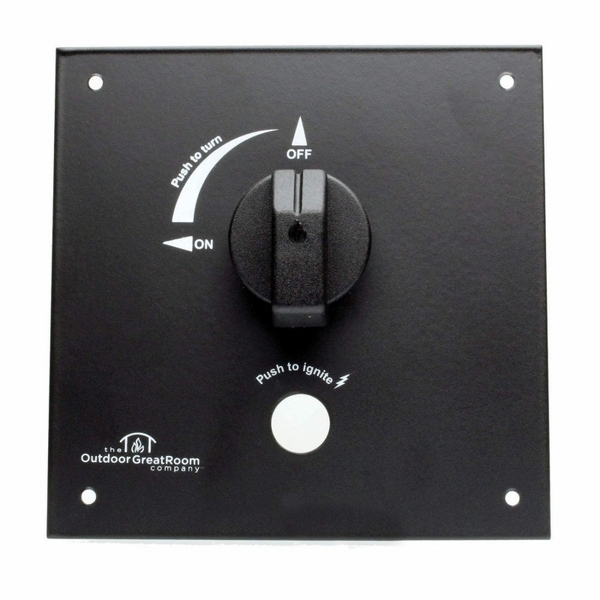 This panel does include an adjustable on/off valve, along with a backer plate that is designed to be built into the side of your firepit or attached with hardware of your choosing.